Susan wrote: I think it would be a really interesting post to have some of your older children write a blog that shares about their thoughts and feelings about adoption and that of special needs and how it has affected them. 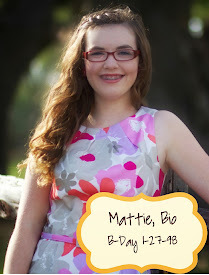 I would love to hear what Mattie has to say since I feel like she is such a mature big sister! Adoption has affected me and changed me in every area of my life. As I was driving Selah around on the 4-wheeler today, I was reflecting on how much my heart has been changed by God through adoption in the past 3 years. Each child has taught me something different and grown my faith. I love adoption in every sense of the word! 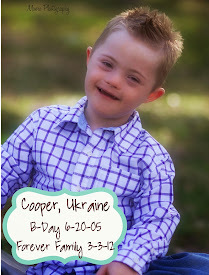 Since adopting Conner and Cooper, God has placed a strong burden on my heart for special needs adoptions in countries like Ukraine. John 14:18 gives me chills. When I look into my brothers’ faces, I see Jesus. When I ask God to show me His heart, He reveals it through my siblings and their redemption. When I am up in the night with Selah, or changing a dirty diaper, I am tempted to think, "Why can't I just be a normal teenager!" but then the Holy Spirit nudges me and reminds me that I'm not alive to be living a "normal life" . I'm alive to bring honor and glory to Christ in my every breath. Then I smile ear to ear with that reminder and knowing that truth, and continue wiping that oh-so-adorable booty:-). You see, that may sound all "holy", but I fall short of the mark so often, and God is constantly reminding me of things like that to get me back on track, and a lot of times He'll do that through a sibling. 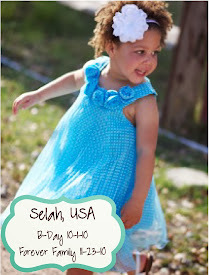 We have been teaching Selah simple sign language signs for a long time, and now they're all starting to click. As I watch her sign and see the sparkle in her eyes that she can finally communicate the way I've been trying to teach her, it reminds me of God and me. He will be trying to teach me a concept for so long, and then one day it will just click! The joy is awesome as He says, "Yes! That's it, now let's practice some more." Some days I'm just plain tired, and really don't feel like feeding Conner and Cooper their nutrition drinks, but the joy of the Lord strengthens me, and it's SO worth it to see them come to life. Conner, Cooper, and I communicate through laughter and smiles, and so nothing warms my heart more than when I kiss Conner's nose and he lets out the sweetest little laugh. Or when I play, "I'm gonna getcha!" with Cooper and he cracks up laughing. I thank my Abba Daddy for every blessing, trial, and laugh as I am learning to trust in Him to guide me every step towards the hope of glory because of Jesus Christ. There you have it! I'm the most blessed teenager ever, and I'm so thankful for each and every one of my siblings, special needs or not. A lot of people like to be critics and say that our parents are just forcing us to adopt all these kids. Those people are way off track; adoption is not just a good thing to do and everybody shouldn’t do it. God has to call you to it and the people who say it’s not fair to us kids or that it is a burden are completely wrong. I think it is a huge privilege and a great joy! 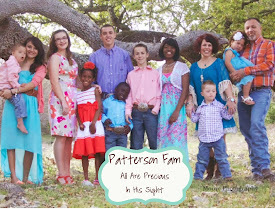 It is a privilege because it is rare for God to call a family to adoption like He has with ours. A good analogy would be diamonds. Diamonds are rare and special; if everyone had diamonds, they wouldn’t be all that special and it wouldn’t be a privilege to own one. Adoption has also been a very big factor in developing my character. It has taught me so much about myself. I think adoption has been almost as good for me as it has been in the lives of the kids we have adopted. It would be so selfish to say ‘well, I know the kids in Haiti are starving, but I want more Christmas presents, so too bad for them.’ That would be so wrong! In my opinion, the people who say we are being deprived are looking at it from a worldly point of view. I would much rather have more siblings and less presents. If these people are so narrow minded that all they can think about is how much worldly stuff we can accumulate, they must have never met our family! It seems to me that they need a change of heart. How about thinking about the starving, dying, orphans that actually are deprived. They have nothing, not even love from parents! The least we can do is give them that. Worldly things are temporary, short-lived, fading and not all that great. Joy, true joy, is lasting, satisfying and fulfilling. 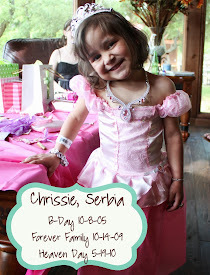 For me, that comes from two things: God, and knowing that we are saving kids’ lives. Before God even called us to adoption, I had started to notice that even all the cool stuff we used to get at Christmas didn’t ever bring me joy. And it’s the same with most worldly things, they just don’t last. But joy is way different. It is deeper and more lasting. I think hope and joy go hand in hand, kind of like a cycle. You get joy from the hope we have in Jesus. And you also get joy from doing God’s will. But without hope, there is no joy. I guess what I’m trying to say is it is much more rewarding to help orphans than get worldly things. I think 2 great verses that our family definitely lives by are Matthew 6:20 and 19:21. Both kind of say that you should store up your treasures in heaven where they will last and that will bring true joy. I’d like to add that I don’t think Parker’s viewpoint has changed. 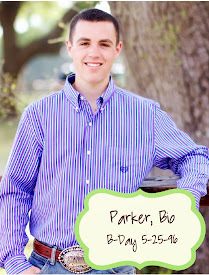 He still considers the life we’re living to be a huge privilege, and Parker is an integral part of making our family work. 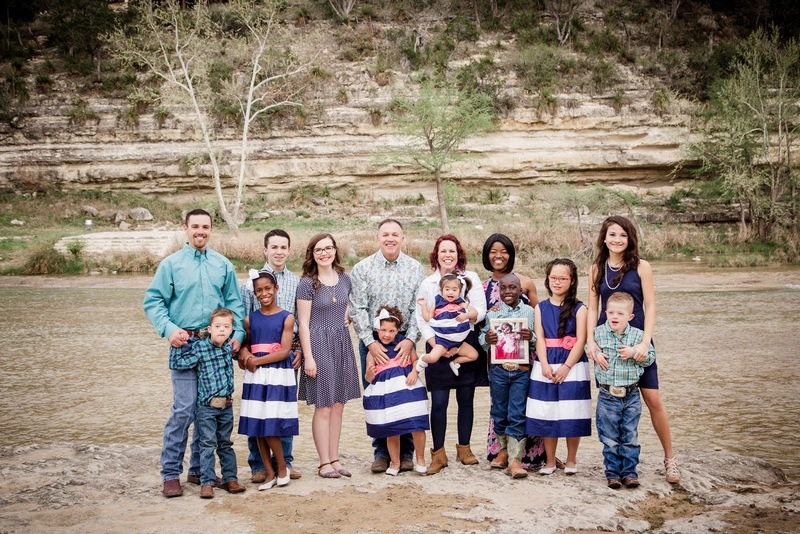 Because God has equipped our family (and continues to do so), and because each of our children are committed to large family life and serving God, things run miraculously smooth around here most of the time. Visitors will often comment on how calm and happy our family seems to be. 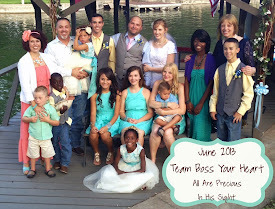 We often have people tell us that their family life, with just two or three kids, is so much more hectic, crazy, and chaotic than our family life with eleven kids living in our home, many with special needs. Many times strangers will comment on how well-behaved our children are, how helpful they are, how respectful they are, how everyone just pitches in without being told, how everyone seems to really like each other, etc. This is all God. It’s His way of bringing more glory to His character, demonstrating what He is capable of, shining His light, sharing His love of large families, His love of children, His love for the orphan. I can guarantee that without God, NONE of this would be possible. We do not force our children to act as slaves, we all pitch in and serve because of Him!!! God has knit our family together in a way that only He could do. Matt and I are not responsible, it truly is ALL God. I believe I can safely say that we, as a family, feel blessed to be living this life God has blessed us with. 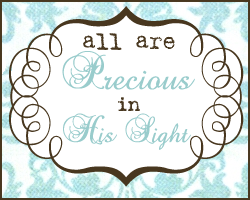 We love God, we love serving Him right here in our very own home/family, and we, as a family, believe wholeheartedly that ALL are precious in His sight. I’d also like to share that before we ever move into another adoption, we always have a family meeting to discuss the realities, pray about God’s will, and decide as a family what we feel God is asking us to do in a given situation. When God was calling us to adopt Conner and Cooper, the situation was a little different because Matt and Mattie were in Ukraine actively searching for who God wanted us to adopt (after we found out that the two host boys we *thought* God wanted us to adopt were put into their bio aunt’s custody just a week prior to our appointment to officially accept their referral for adoption). 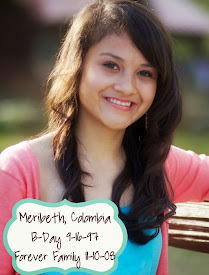 Our family was separated by a huge ocean when it came time to get together to discuss and pray about the situation, but God bridged that gap through His Spirit, which connected us spiritually, even though we were physically separated, halfway across the world. 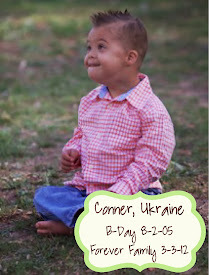 During my husband’s physical absence in our home in December 2011 (because he was in Ukraine), I was “in charge” of our family meeting in our home, while my husband and Mattie met together in Ukraine, to discuss and pray about the possibility of adopting Conner and Cooper. In the meeting in our home, Parker (now age 15), was very level-headed and matter-of-fact about the reality of possibly adopting Conner and Cooper. 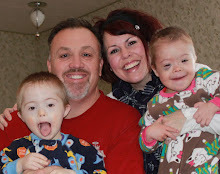 Because both boys have Down syndrome, that would require a completely different level of commitment in raising these boys, especially when compared to what we *thought* we were agreeing to when we “signed up” to adopt our two host boys, Vlad and Dima. The complexities and level of both short and long-term commitment were incomparable. 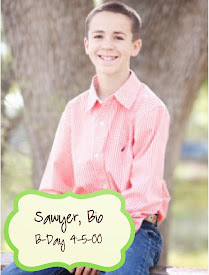 Parker was not sure he wanted to commit to what he knew would require a lot more work and sacrifice of each member of our family in order to adopt and raise Conner and Cooper, so we left our family meeting without any final decisions being made, other than the commitment to continue praying about this. Parker shared many verses with me regarding justice. God had specifically drawn Parker to His messages and truths regarding situations like the one we suddenly found ourselves in, the situation Conner and Cooper were in, and what God had to say about all of it. As Parker shared with me what God had shared with him, he was so excited to reveal that he felt we were FOR SURE supposed to adopt Conner and Cooper, no matter how hard it would be, no matter what changes our lives would take, no matter what sacrifices we would make…no matter what. There are no words to adequately describe the peace and joy that radiated from Parker during that moment. God used Parker’s response to challenge me to become more like him, to unashamedly and wholeheartedly give sacrificially, but to do it with pure joy. Yes, adopting Conner and Cooper would require sacrifice and hard work from every member of our family, but God would supply our every need. Our sacrifice and hard work wouldn’t even begin to compare to what Conner and Cooper were experiencing on the other side of the ocean. Conner and Cooper had spent six, almost seven years, alone in an orphanage, abandoned and neglected, without hope. Both boys were going to be transferred to an adult mental institution at the age of six. And, at the time of making the decision and commitment to adopt both boys, we had NO IDEA what their lives were really like in that orphanage in Eastern Europe. SO.MUCH.WORSE than we ever imagined. Worse than we could fathom, actually. And to think we could have missed the blessing of these boys simply because we weren’t willing to sacrifice a little more, work a little harder, and love a little deeper. Yes, ALL things are possible through Christ who gives us strength. Praise God for opening our eyes, opening our hearts, and opening our home, and praise Him for enabling, equipping, and providing for our family at all times. 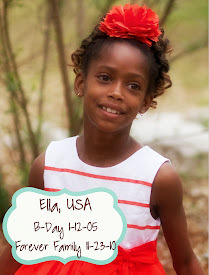 In this adoption, God has shown Himself BIG TIME, in ways we’ve never experienced before. God has supplied our every need, equipped us in areas we didn’t even realize we’d need to be equipped in, and enabled us to bring Conner and Cooper into our family with miraculous ease simply because this is what brings Him the most glory. It is obviously NOT us who are able to do any of this, it is truly ALL God. He is the One who enables all things, for truly nothing is impossible with Christ. And before I close, I must say a huge THANK YOU to anyone who donated to my sweet friend Adeye’s adoption fund. Click HERE to read about the miracle that unfolded yesterday. 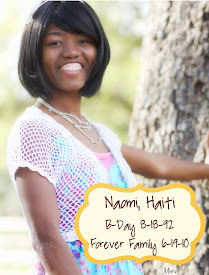 In about 24 hours, God raised over $26,000 to rescue Faith, a 14-year-old lovie who weighs only 14 pounds. God’s glory is exceedingly RADIANT through this story. Boss Your Heart Shirts & a Giveaway! Praising God for Cooper’s Casting Success! 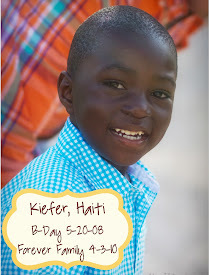 Happy 2nd Gotcha Day, Kiefer Thomas!